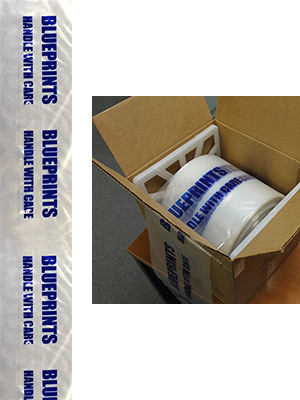 These blueprint storage bags protect your drawings and blueprints from damage during storage. 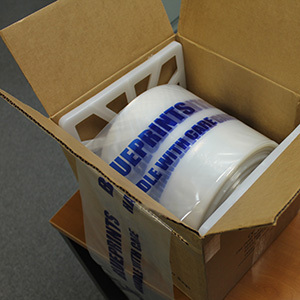 Bags are printed with "Blueprints Handle with Care"
Shipping box doubles as a handy dispenser: simply pull the slot open on one side of the box and roll feed the bags through the slot. The bags are stored on a rod inside the box for easy dispensing. Inside diameter of each bag — 5"